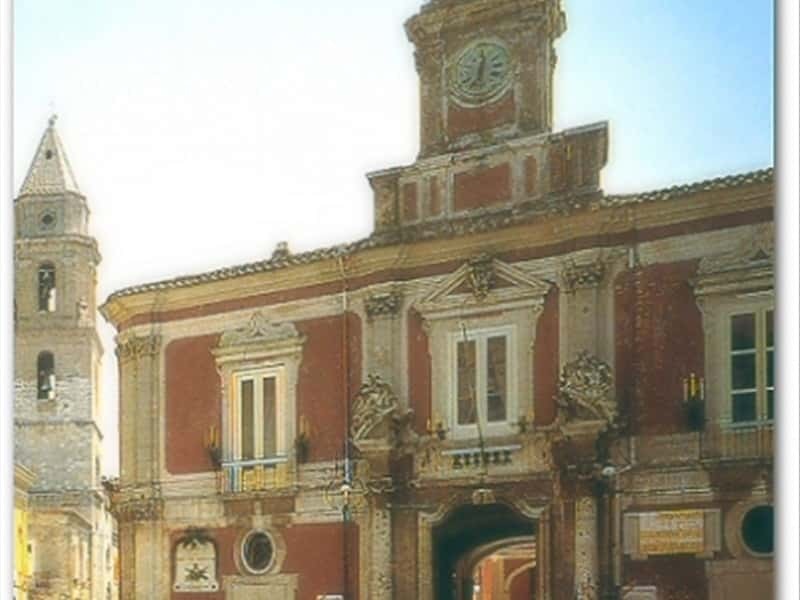 San Severo is situated in a plain valley, in the Northern part of the province of Foggia at approx. 90 meters above sea level. Its waterways are not outstanding, the most important is the river Candelaro. The valley has not a demographic density as it is highly cultivated with stretch outs of olive trees, vineyards and wheat fields. The Mediterranean climate proposes mild Winters and warm Summers. San Severo offers an old town rich of historic monuments and for this, in 2006, it received the recognition of "City of Art". This is due to its long history and the importance the city had in the past. It was the main town of Capitanata and Molise until 1579 and an Bishop's See since the XVI century. The territory, part of Daunia, was a settlement since the Neolithic Ages and in '1000 it started to enlarge, due to its location close to the "Via Sacra dei Longobardi" (the Sacred Road of the Longobardi), which connected the town to the Cave of the Archangel Michele on Mount Sant' Angelo, to whom the Longobardi Kings where devoted and was destination of pilgrims of all Europe. The first building to be edified was a small church, built by the Benedictine monks, in honour of one of their abbots San Severino, from whom the town takes its name. The favourable location attracted Venetian, Jewish and Florentine merchants and San Severo became a very important commercial centre. Its fall began when in 1579 it was sold to Duke Gian Francesco di Sangro who had a hostile relationship with the local population. Worse effects were given from the earthquake of 1627, when the whole town was razed to the ground, which also caused difficulties in the reconstruction. The monuments preserved are mainly in Baroque style and important places to visit are the Lords Mansions, which are a certain number; the main church of San Severino and the Cathedral. This town web page has been visited 17,070 times.